Our unique hedge trimming technology is fast, efficient and delivers a superb result. Claxton is at the cutting hedge – Why have it any other way? Claxton Tree and Landscape Care offer a precise hedge trimming service to residential, commercial and lifestyle block customers with roadway, driveway or open-facing garden hedges. By combining our skill of using traditional hand-held hedge trimmers with the very latest technology from the Netherlands we can tackle any large or small hedge with great care and attention to detail. Beautiful hedges provide privacy and screening from busy roadways and form an attractive green wall from your home. The best way to trim hedges. Over time, even the best planned and most vigorously growing hedge will need careful attention to maintain its shape, size, and general health. Without care, these hedges can become unkempt, block views or simply reach the point where a little trimming is required! Have you ever noticed that your hedges show most of their growth on the top faces? Over time, these vertical faces often develop an unattractive “lean in” towards the garden. Our hedge trimming team has the expertise and equipment to restore even the tallest and longest of hedges to a tidy display. Cutting tall hedges – A challenge for many hedge cutting companies, but not for Claxton! Trimming tall hedges is no issue for the Claxton team. As a local hedge cutting company, we can restore those prized formal vertical and horizontal aspects with great precision, a delight to the eye from any viewing perspective. Regular trimming with hedge trimmers helps to eliminate unsightly holes in the hedge by encouraging foliage growth on all of the light facing edges. While our approach to cutting high hedges changes based on the nature of the site and its accessibility, we can cut all the open faces – both top and sides with our hedge trimming unit. Difficult to access areas are cared for by hand. In some cases homeowners may wish to cut some lower or more private aspects by hand, leaving the high and hard work to our hedge trimming team. We’re happy to do it all, or work in to meet your specific needs or preferences. 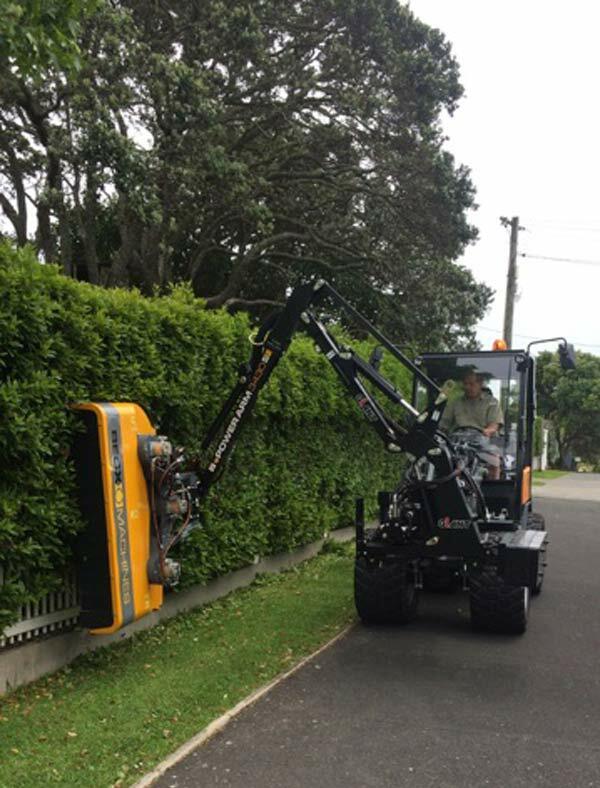 On some sites, our machine can eliminate the need for ladders, even for the highest garden hedges. By combining expertise in pruning hedges with the latest technology from the Netherlands we can tackle any job with great care and attention to detail. 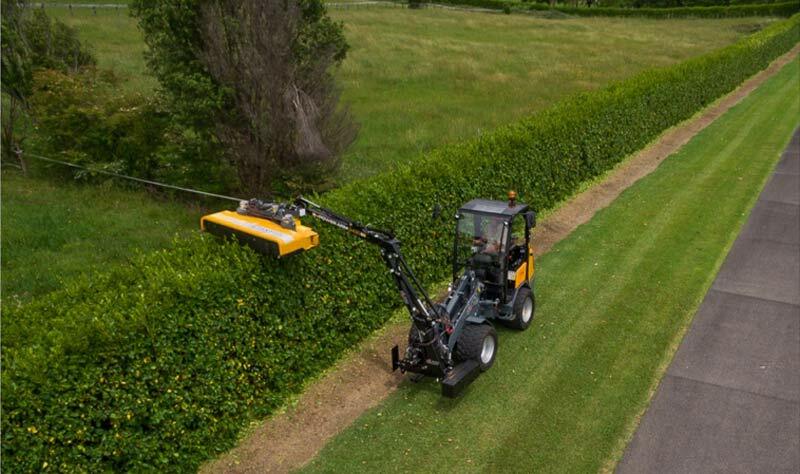 Our equipment is state of the art, allowing for fast, accurate and efficient hedge trimming services. Our latest hedge trimmer technology ensures perfect cuts every time. On board stability and precise level indicators deliver true horizontal and vertical lines. No job is beyond the scope of our hedge trimming crew, eliminating those unsightly outward sloping hedges. Naturally, we remove all of the trimmed material and leave your gardens and road frontages spotlessly clean. We also offer a scheduled hedge maintenance plan. Claxton hedge trimming experts can return to provide a tree and hedge trimming service at agreed intervals to keep everything looking just how you like it. Some of our customers trim twice each year, others quarterly. What doesn’t change is the fact that all of our valued clients enjoy our superior speed and quality performance. Hedges will usually grow more on the top than sides, so a quick trim will often extend the time between major trimming or simply keep things looking great. We’re fast, efficient and friendly. Our professional hedge trimmer crew always leaves a work site better than we found it and we love what we do. I’m Garry Claxton. It’s my business and that’s my name on our fleet of vehicles. Call me now, and I’ll personally visit you to discuss how we can make your property more beautiful and even more enjoyable.